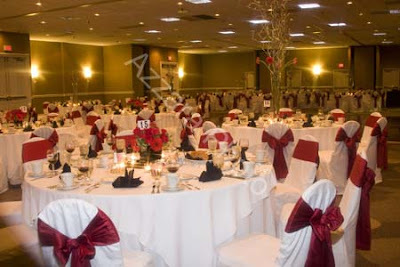 Here are some professional shots of a wedding we blogged about earlier this year that used vibrant red and white as the color scheme. 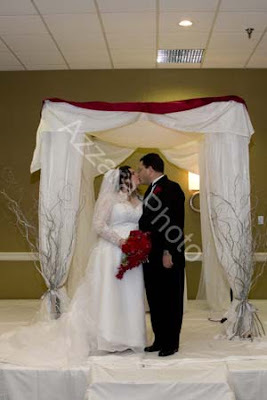 The photos are from Azzara Photography. 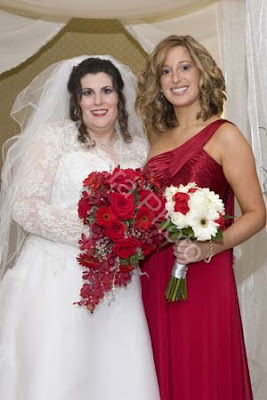 The bride carried a cascading bouquet, white the bridesmaids had round, hand-tied bouquets. 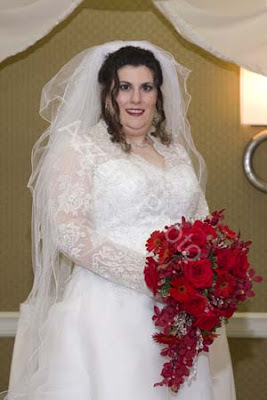 Here is another example of the Mother of the bride carrying a few flowers rather than wearing a corsage. 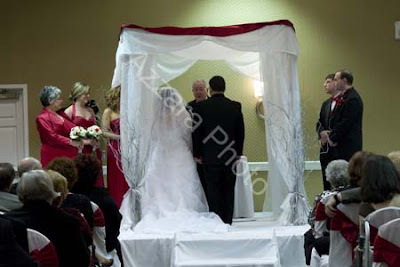 We decorated our chuppah for their ceremony. 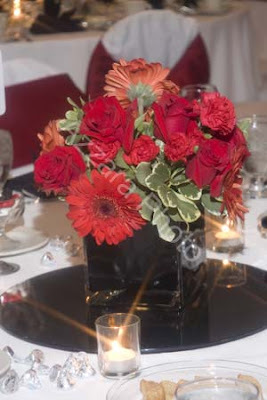 Half of the tables in the reception room had these cube vases of red flowers. 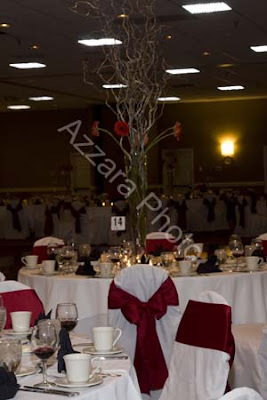 The other half of the tables had these large pilsner vases with curly willow and gerber daisies. 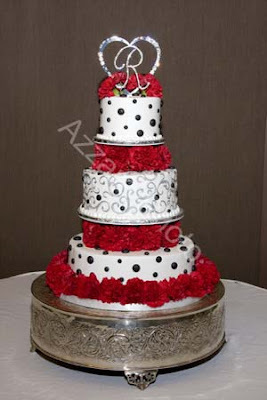 We filled in between the layers of the cake with red carnations to add the red color to the beautiful cake. 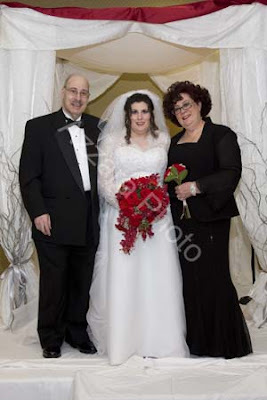 Thanks to the bride, groom, and their families for including us in their special day!